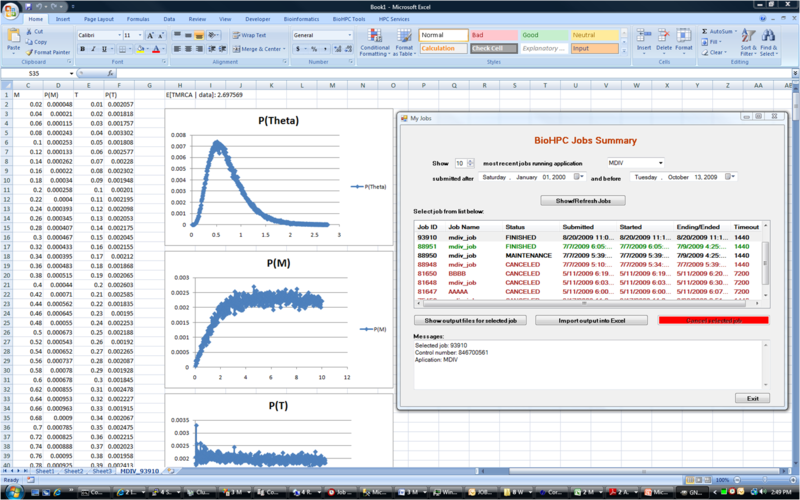 BioHPC resources available for command-line utilization, local desktop application can fork its computing to a remote cluster (or cloud) via BioHPC and then utilize results. Example 1. 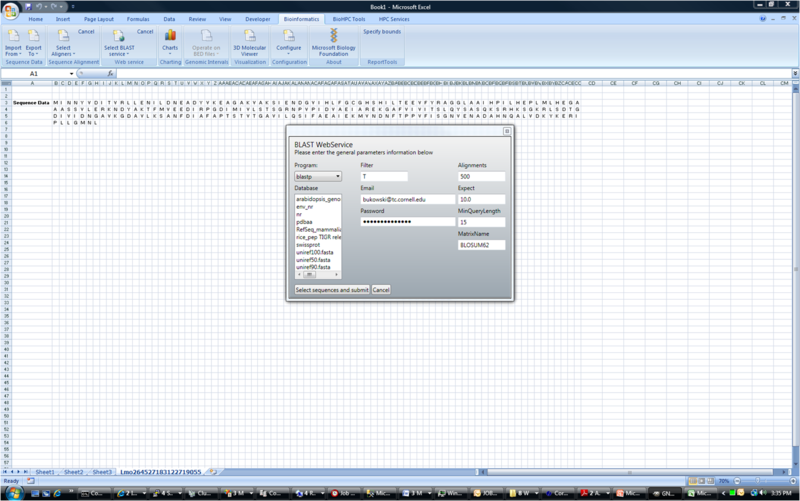 BioHPC MS Excel Add-in. 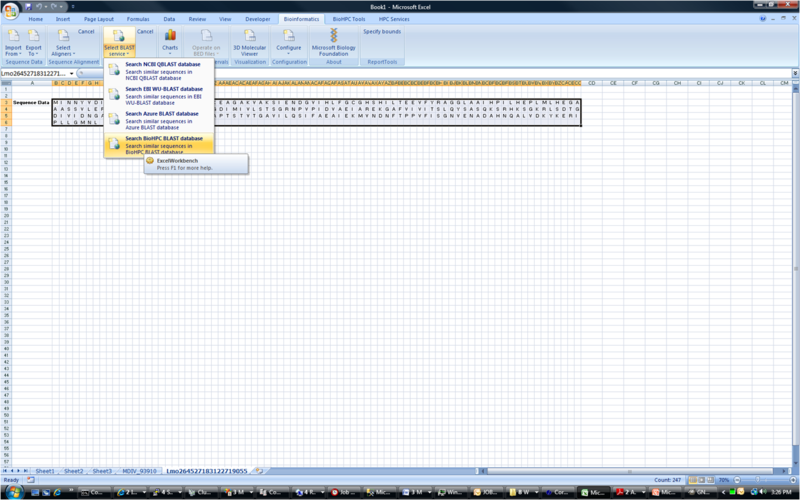 We have developed BioHPC Excel ribbon interacting with BioHPC site. 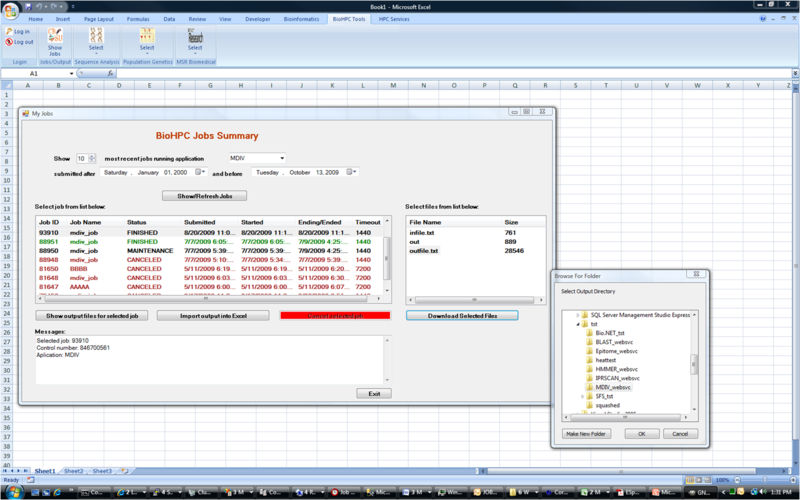 Screenshots below show its use to submit and visualize a MDIV job. Example 2. 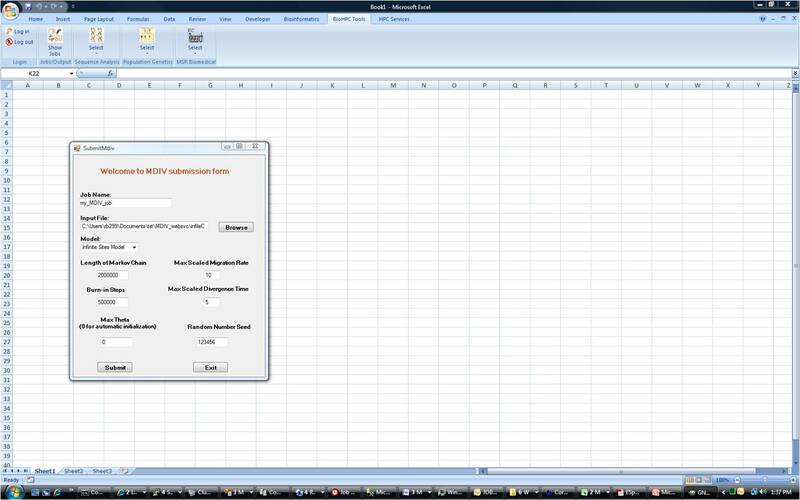 MBF BLAST access from MS Excel.